Do you have a signature style? You know, a certain type of attire that just screams, you? We find comfort in things that make us feel proud, attractive and just plain happy — Comfortable in our own skins, if you will, beginning with our outer appearance. Some people find comfort in jeans and a blouse while others might fancy tight dresses or a t-shirt and athletic leggings pairing. Obviously the way we dress ourselves depends on what the day ahead of us has in store, but there is that sweet spot of go-to looks which we feel compelled to adorn our bodies with because those are the looks that make us feel unapologetically like ourselves. In light of fashion’s biggest moment the other night, the infamously glamorous and insanely stylish Met Gala, I wanted to shed light on the unfathomable notion that more often than not, we are dressing for the sake of other people instead of ourselves. 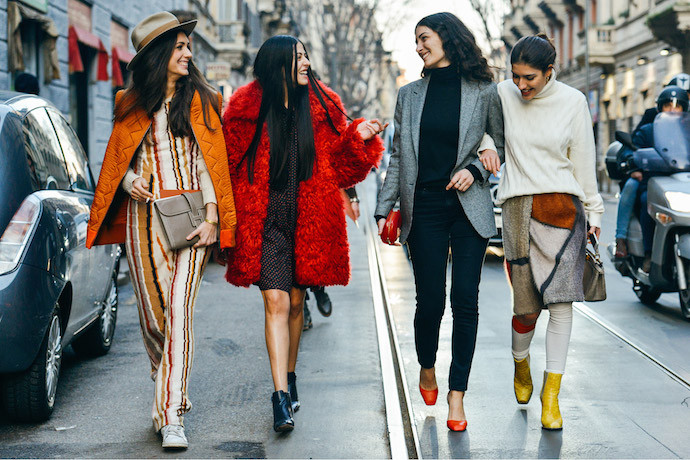 The way that we dress is influenced by so many things — what we do for work, what the people we hang out with are wearing, and largely, the environment in which we live in. As human beings, we have a desperate need to belong and “fit in with the crowd.” We need to feel accepted in order to go about our days confidently, rest assured we are representing ourselves to the outside world properly. This is not to say we shouldn’t be expressing our individuality. In fact, it’s saying the opposite. Our surrounding environment should welcome our authenticity. But what happens when we don’t feel like we belong in the environment that we are in? Do we conform to what everyone else is doing so we feel included, sacrificing the person we are? Or, do we put our own happiness and comfort first, at the risk of judgement and ridicule? I wanted to wear my new Under Armour leggings (BTW if anyone reading this is looking for a pair of workout or *cycling* leggings that can also double as errand leggings when worn with the right top, you need these), black fashion tennis shoes (no shoestrings!) and my multi-color bird coat. Did I wear this wonderful outfit? No, because I live in Kentucky and people here do not appreciate or understand good fashion when they see it. So to ensure the comfort of others, whom I knew would view this outfit as inappropriate and possibly disrespectful given the elitist air of the Keeneland grounds, I surrendered to a basic purple long sleeve shirt, high-waist skinny jeans and black ankle boots so I wouldn’t “stand out” among the multitude of young mothers, presumedly wearing a similar version of denim-with-plain-tops outfit, of the Lexington community. I looked in the mirror, was instantly in a bad mood and regretfully shuffled to the car trying to shift my focus to enjoying this Saturday morning with my little family instead of the unfortunate way I was dressed. Walking up to the gate upon our arrival, I caught a glimpse of my unsightly appearance in the gift shop window, put my head down and tried to get my endorphins from the caffeine in my coffee since it clearly wasn’t going to come from looking good. To be clear, this is not so much that I feel I have to keep up a certain persona because dressing fashionably is what people have come to expect of me — It’s because dressing fashionably wild and weird wakes up my soul and makes me feel invincible. Plain Jane may be the next person’s muse, but mine is outrageous outfitting. This day I was far from invincibility. I looked like I was the one about to ride a horse. No, worse. I looked like I could be the horse trainer. (No offense to people who enjoy riding horses and looking fabulous as they do — this look simply just does not work for me). It was awful. All I kept hearing in the back of my mind was, “I knew I should have worn my bird coat and jet black, perfectly platformed Nike sneakers,” because that is who I am right now. That’s what I wanted to wear. Right now, I’m embracing the athleisure trend due to its flattery, practicality and subtle sense of edge. Why do I have to justify this to the parents attending this? To anyone? You see, this is why I am so interested in the fashion industry. Every person a part of every industry and every community turns to the fashion world for guidance in one way or another. 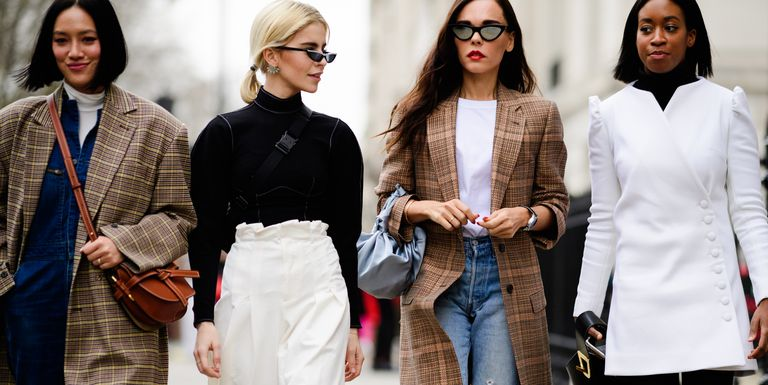 Just because someone doesn’t devour an entire issue of Vogue or even takes a minute to skim a streetwear blog to check the trends of the season doesn’t mean they aren’t interested in, or more importantly, influenced, by the fashion industry. The fashion industry controls consumers. And not just in the sense of consumer purchasing behavior — It controls our emotions, our mind-sets, our conversations, everything. While the focus of this particular occurrence and so many others in our lives should be on who we are spending time with and the reasoning for gathering in the first place, it so often (and viscously quickly) turns into a self-identity crisis and internal complex on the kind of person we are, the person who we used to be and the person who we want to be — all stemming from the clothes we put on our back. So I encourage my fellow fashionistas to bare your bold style soul and wear whatever makes you feel impeccably you. Because you aren’t going to get to where you want to be in life by following someone else’s standards of acceptance. We shouldn’t be looking for acceptance, anyway. We should be striving for excellence. And that, my friends, can only be done with fashion as armor, no matter how plain, bright, or feather-filled that might be.